Amazon just launched their own ad-supported video platform last week, giving them the opportunity to strengthen their authority in the video advertising space. 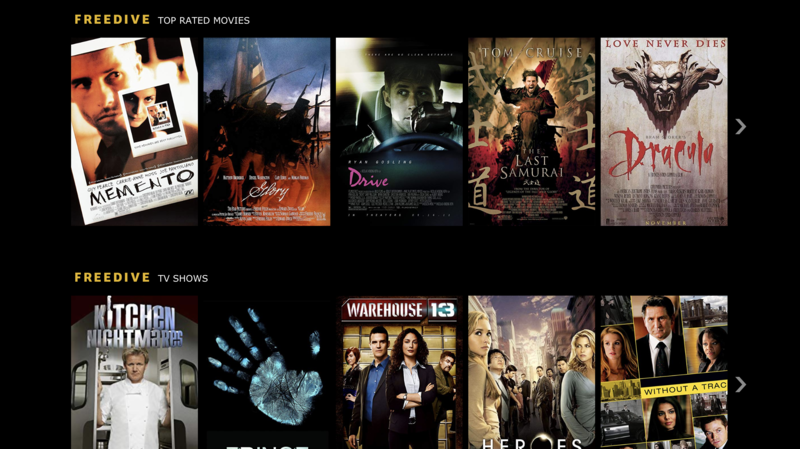 The new streaming platform, Freedive, is hosted by Amazon-owned, IMDb. For those of you who aren’t cinephiles, IMDb (or International Movie Database) is a movie and TV database where users can look up virtually any film or television show in the world and view trailers, ratings, cast & crew, and many other features about it. Now, with FreeDive, users (on the IMDb website, Amazon Fire TV devices, the Amazon Roku Channel, and mobile devices via the IMDb app) will also be able to stream a collection of hit movies and TV shows such as The Bachelor, Fringe, and Heros without needing a subscription. Rather than user fees, the platform is supported by ad revenue, creating not only a new wallet-friendly streaming service for consumers but a new platform for reaching new audiences for brands and marketers. This is not the first Ad-Supported Video on Demand (AVOD) platform we’ve seen by any means. Competitors include Sony’s Crackle, Walmart’s Vudu, Xumo, Tubi, and Pluto TV, however, IMDb’s Freedive has the potential to be more successful due to the Amazon name and the user base IMDb has already acquired. To Needham’s point, this is a recipe for success. Not only are they leveraging IMDb’s strong reputation for being the go-to source for television and movies, but they’re also offering this service on platforms that many already use. For example, I (and I assume many others) already have the IMDb app downloaded on my phone, and frequently open it to look up any ratings or questions about a specific actor or movie. Offering it exclusively on the very popular Amazon Fire TV and Roku channel, which can be used to access Amazon Prime, will put this free streaming offering in front of millions of curious users. Why wouldn’t they check it out? With this large potential audience, Freedive presents a huge opportunity for marketers. As mentioned, Freedive is an ad-supported platform, meaning it will show ads periodically throughout any show or movie. Because it’s a free service, users typically don’t take issue with this, which is great for brands. Freedive will create another avenue of paid video advertising for brands aside from YouTube and Facebook. While it’s unknown what kind of targeting opportunities are going to be available, we know that IMDb currently gets 250 million unique monthly visitors - and with this being introduced on other Amazon-branded devices as well, there is a potential to reach a very wide audience with the platform. This isn’t the first move we’ve seen Amazon make to diversify their advertising options in ways that are mutually beneficial for the advertiser and the customer. Earlier this month, they announced they would be sending free samples to customers as a form of advertising. Clearly, Amazon is taking notice that traditional display ads and marketing aren’t always the best at producing the desired ROI, and are experimenting with more effective options. These efforts are paying off, as Amazon is expected to be the third largest ad seller in the US - just behind Facebook and Google. Marketers should take advantage of these new ad options as a way to better reach their customers. More than that, however, I think we can all take a lesson from Amazon’s approach - what’s worked in the past won’t work forever. Consumers catch on quickly, so it’s important to stay ahead of the curve when it comes to adopting new strategies.